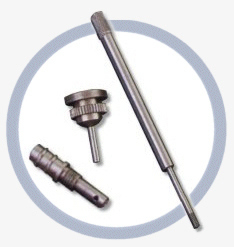 We are a family owned company specialising in complex, high precision turned parts for sectors such as medical, defence,electro-mechanical, aerospace and automotive using a variety of materials in most grades from 2 to 32mm dia. Using sliding-head CNC machines from both Star and Citizen, with up to 9 axis, operating 24 hours per day, seven days per week enables us to produce components complete, thereby eliminating second-op cost and delays. Accredited to ISO9001 and committed to ongoing training and investment, Haydon Precision can offer the quality and reliability our customers have come to expect.